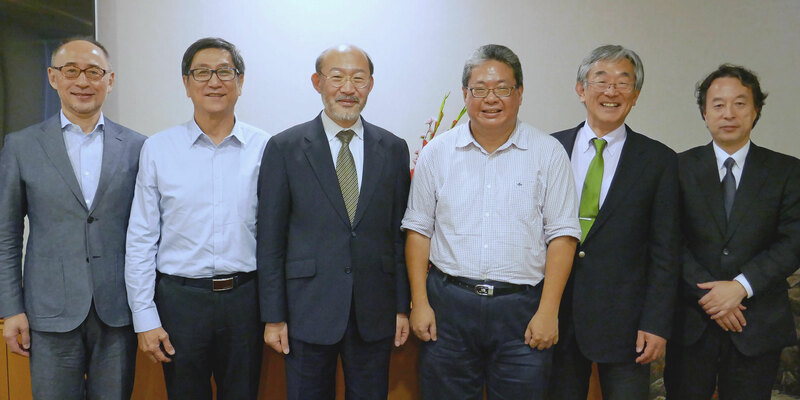 Hokkaido University staff from the Faculty of Agriculture and Graduate School of Global Food Resources visited the National University of Singapore (NUS)’s Faculty of Science on December 20th, 2018. The delegation included Dean of the Faculty of Agriculture Professor Atsushi Yokota, Vice-Dean of the Faculty of Agriculture Professor Takanori Nishimura, Dean of the Graduate School of Global Food Resources Professor Takashi Inoue, and Professor Kazunori Iwabuchi from the Faculty of Agriculture. From the NUS, Faculty of Science Vice Dean Associate Professor Chew Fook Tim and Associate Professor Lai Yee Hing welcomed the group and organized a dinner for the delegates which was also attended by the NUS Faculty of Science Dean Professor Shen Zuowei. Professor Yokota expressed his gratitude to the NUS faculty members for launching the joint summer program between the two universities. He then introduced Hokkaido University’s Faculty of Agriculture and courses offered in English. After this, the NUS Vice-Dean Chew introduced the NUS’s strategy for future activities. This was the first time for each party to introduce their organizations and programs to each other, which made it an invaluable opportunity to exchange information and discuss future collaborations. The delegation also met regarding the next joint summer program. 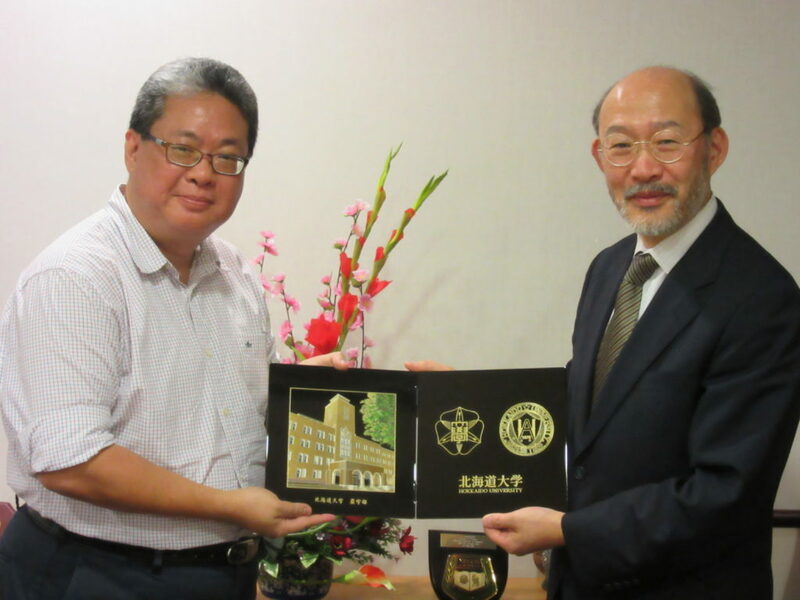 It was around two years ago when the NUS and Hokkaido University began discussions about the program. The first program of 10 Hokkaido University students and 6 NUS students was held in July 2018. Titled “Joint Summer Programme in Japan and Singapore,” the program is run by Hokkaido University’s School and Graduate School of Agriculture and Graduate School of Global Food Resources in cooperation with the NUS’ Faculty of Science. This 10 day program consists of lectures, field work, and e-learning at both universities in which students learn about the cultural background and industry of agriculture in modern day societies. The next summer program will have 10 Hokkaido University students and 10 NUS students, and will be held in Sapporo in August 2019 and in Singapore in December 2019.